Art Creation is a reliable quality acrylic paint which is 100% based on acrylic resin, the paint has a silky sheen when dry and can be painted over quickly and can be used both straight from the tube and thinned with water. The paint is waterproof when dry and due to its adhesive properties this paint allows you to work on any somewhat absorbent ground that is free of grease and dust, such as canvas and paper, as well as plaster, board, wood, stone and cement. 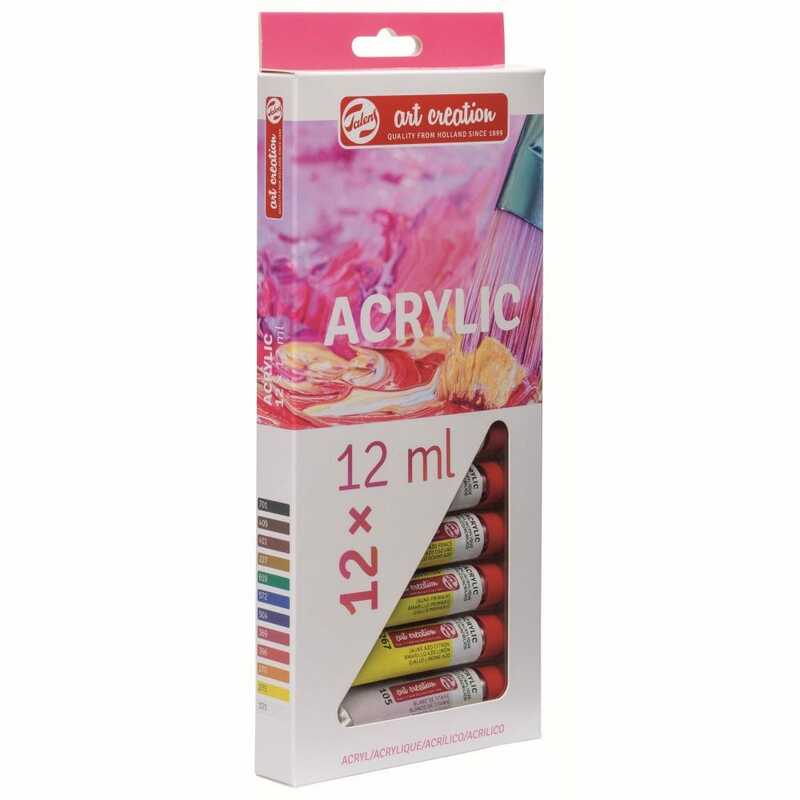 Set contains 12 x 12ml tubes: titanium white, primary yellow, azo yellow deep, naphtyhol red deep, magenta, ultramarine, cyan, permanent green deep, yellow ochre, burnt sienna, burnt umber and ivory black.